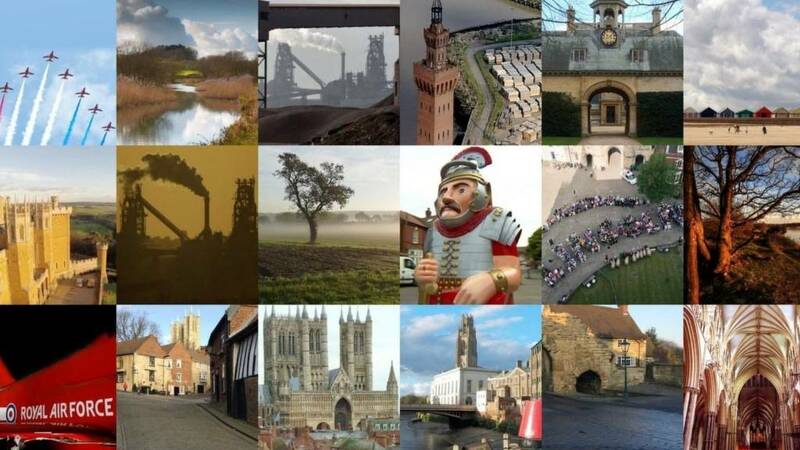 That's it from me and the team in Lincoln for today - we'll be back at 08.00 on Monday with more of the very latest from across the county. A man's wanted by police after a robbery in Gainsborough yesterday afternoon. Officers say he carried out the offence between 14.25 and 14.55 between the Tesco store and the underpass on Sandsfield Lane, Gainsborough. 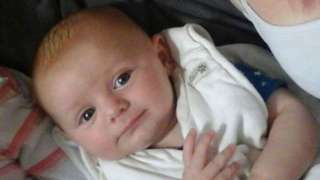 An inquest hears how baby Alex died after she fell asleep while he was being bottle-fed. We're getting reports that there's a crash on the A46 Lincoln bypass near the Carholme roundabout. Motorists are reporting long tailbacks to the Skellingthorpe roundabout. A man and a woman have both been charged with the murder of 45-year-old Tony Richardson. Marc Finnie, 44, and his wife Sarah Finnie, 36, of Sutcliffe Avenue, are due to appear before Grimsby and Cleethorpes Magistrates Court tomorrow morning. Mr Richardson’s family has been informed and continue to be supported by specialist officers. Two dogs which were seized from hare coursers in Lincolnshire are to be rehomed. It's the first time the courts have ruled in this way. In the past dogs were eventually returned to their owners. Lurchers Lucky and Spencer had been kept in kennels since last September, when their owners were arrested. It's hoped there'll be positive news in the next week over Lincoln's Eastern Bypass project after the collapse of the main contractor responsible for building it. Work on the route ground to a halt after construction giant Carillion stopped trading last week, leaving many subcontractors and local firms questioning if they'll get paid. But Martin Hill, the leader of Lincolnshire County Council says he's hopeful they'll be able to make an announcement in the next few days. It's the last day for people in North East Lincolnshire to have their say on where to provide a temporary stopover site for travellers. There are currently no designated sites around Grimsby, although all councils are legally required to provide them. More than 1,000 potential locations have already been dismissed, and the council has been asking the public for their thoughts. 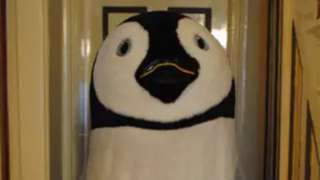 Mumble the penguin is six-foot tall with a "great big head", and loves being cuddled. Here's the latest tweet from Lincolnshire Police's rural crime team - who are leading a major clampdown on illegal hare coursing in the county. Officers say as well as the arrests detailed below - they also have a dispersal order in place across the county. The order allows them to move groups of suspected hare coursers on to disrupt their activities. A Grantham woman's appealing for a new home for her penguin - because she wants to move house. Maureen Bailey, who's 75, won the cuddly bird more than a decade ago. Since then she's put up with him in her house on Dudley Road, but now she's having a clear out so that she can move to a smaller property when she gets married later this year. If you can help her, get in touch with us via email, or messaging on Facebook or Twitter. At the moment he's standing in the dining room. He's been in the hallway. Most people who see him can't believe it and then they go and cuddle him and stroke him. He's 6ft tall and 10ft round. The air ambulance which covers northern Lincolnshire will become a 24-hour service. At the moment, crews from the Lincolnshire and Nottinghamshire Air Ambulance only respond to medical emergencies between 07:00 and 19:00. 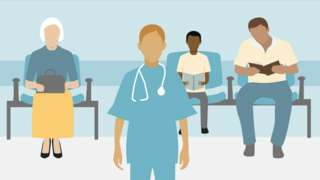 The charity says it will increase the annual running costs from £2.5m to £4m. But the charity says its confident it will be able to raise the money needed. It's a pivotal moment in the charity's history and we're really proud and delighted to announce we're moving to a 24/7 operation. It's only thanks to the fantastic fundraising support we receive from the communities of Lincolnshire and Nottinghamshire that we can do that. Police say they have now tracked down a jacket which they wanted to find in connection with a murder investigation in Grimsby. Tony Richardson, 45, died in hospital after being attacked in Old Market Place on Monday afternoon. Following an appeal yesterday, a member of the public found the light grey jacket and contacted police. Humberside Police say they are grateful for the public's help with this investigation. A 44-year-old man is currently in custody after being arrested on suspicion of murder. 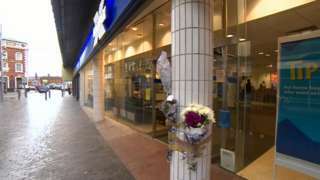 A 36-year-old woman has been arrested on suspicion of incitement to murder. British Transport Police are appealing to Lincolnshire commuters to help with their investigation into last week's arson at Nottingham railway station. The fire, which broke out last Thursday night, caused major damage. Humber Bridge officials have vowed to get tough with people who try to climb the structure after a man was fined for breaching security. Ryan Taylor was fined by magistrates in Hull after scaling the safety barrierat the Barton end of the bridge in May last year, and walking up the cables to the top of the south tower. The case came about after the Humber Bridge brought a private prosecution. Taylor was among a group who scaled the bridge without safety equipment in the early hours of 15 May 2017. They took videos and pictures of themselves at the top of the tower which they later posted on YouTube and other social media channels. They fled the bridge after being spotted by security cameras. The fact that we prosecuted shows how seriously we take this offence - we’re pleased it was a heavy fine. We are looking at further court action where we can against others who were involved. A homeless charity in Lincolnshire says people sleeping rough in small towns and rural areas are a forgotten problem. Homelessness in more isolated spots is growing at a faster rate than in bigger towns and cities, according to a recent UK-wide report. The Institute for Public Policy Research study says rural homelessness is up by more than 52% since 2010. Those running an emergency shelter in Boston say they know of people living in tents, sheds and shipping containers. In the main towns and cities you have facilities, but in Boston we have nothing - we have an emergency night shelter in the winter but no facilities for a permanent shelter.